Like the grand estates of England, most of the historic baronial manors of America have succumbed to the times and the tax man. However, the evolution has made these grand houses accessible to those of us who could not otherwise presume to personally visualize their grandeur. Such is the circumstance of the Highclere Castle of Downton Abbey fame, as well as the lesser known, but similarly impressive, Villa Vizcaya in Miami, Florida. 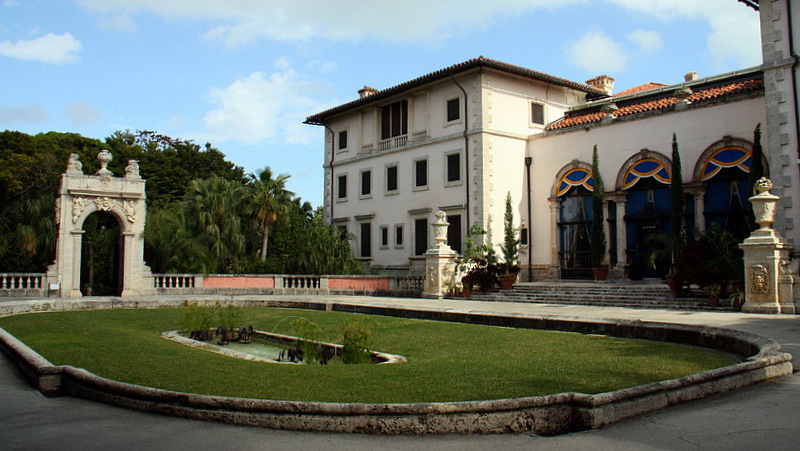 The villa is now the spectacular Vizcaya Museum and Gardens operated by Miami-Dade County. It is a “must see” for those who appreciate the richness and elegance of a bygone era of great residential architecture, refined furnishings, and horticultural marvels. 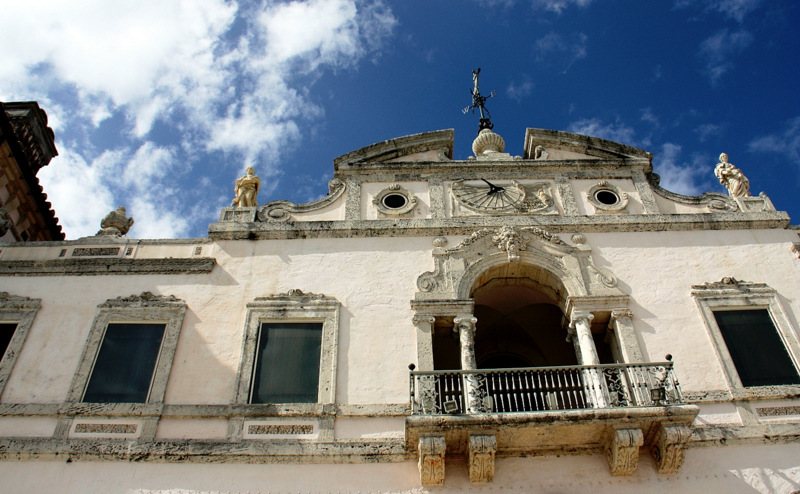 Surrounded by tropical woods and the Bay of Biscayne, this astonishing palace was envisaged by James Deering – a capitalist who made his fortune at International Harvester – to be an Italian Country Estate that looked and felt like it had been four centuries in the making. Mr. Deering was captivated by the extraordinary European splendor of the 15th through early 19th centuries, and spent a great deal of money acquiring period artifacts from all over Europe and Asia. When he built his dream residence in Miami, the rooms were designed around his extensive collection of furnishings, rather than the other way around. 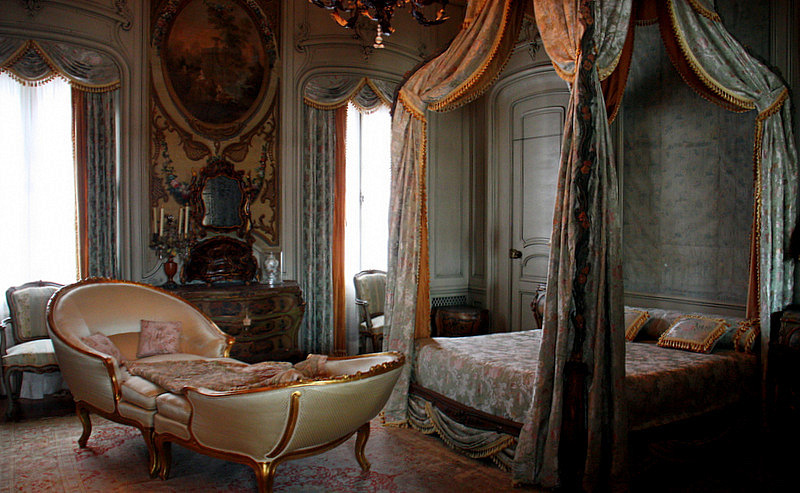 We had the good fortune to tour and photograph Villa Vizcaya uninterrupted. It was an opportunity to experience the palatial serenity of the estate – as the builder and owner must have experienced just before December 25, 1916 – the day Vizcaya was presented to the world. Befitting the Renaissance party theme, Mr. Deering arrived at Vizcaya in a vibrant gondola like a Venetian Prince. It was a pleasant sunny Christmas day and Italian music wafted in the air. Dressed in Italian peasant costumes, Deering’s friends gaily danced along a waterfront edged with colorful gondola poles. It must have been a magnificent and colorful display. Some of the gondola poles remain, but the celebrants are long at rest. No one is exactly sure where Deering came up with the name for his grand house, but it would seem reasonable that he named it after the tiny northern Spanish province of Vizcaya, which happens to be on the Spanish Bay of Biscay. 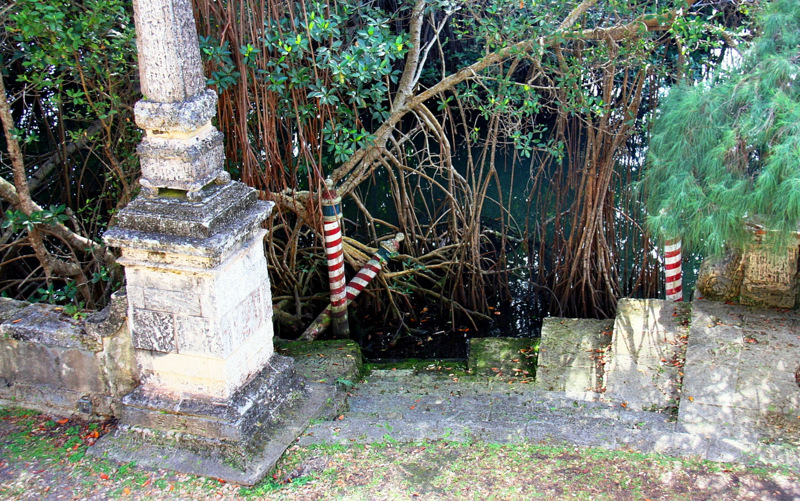 Miami visitors approach this hidden architectural treasure by turning off South Miami Avenue on to a winding driveway through a forest of native trees and brush known as the Rockland Hammock. 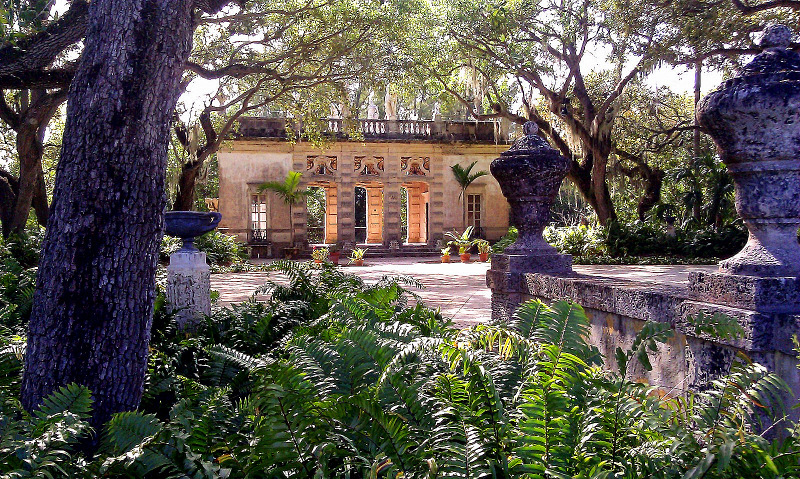 This spate of dense tropical woods essentially hides the grandeur of Vizcaya from public view. At the end of the drive there is a parking lot, and it’s a short walk from the lot to the ticket booth, and on to the entry drive leading to the impressive circular driveway in front of the main house. The house is structured around a center courtyard with an entrance loggia and ground level arcades to the left and right decorated with fine pieces of Renaissance furnishings. 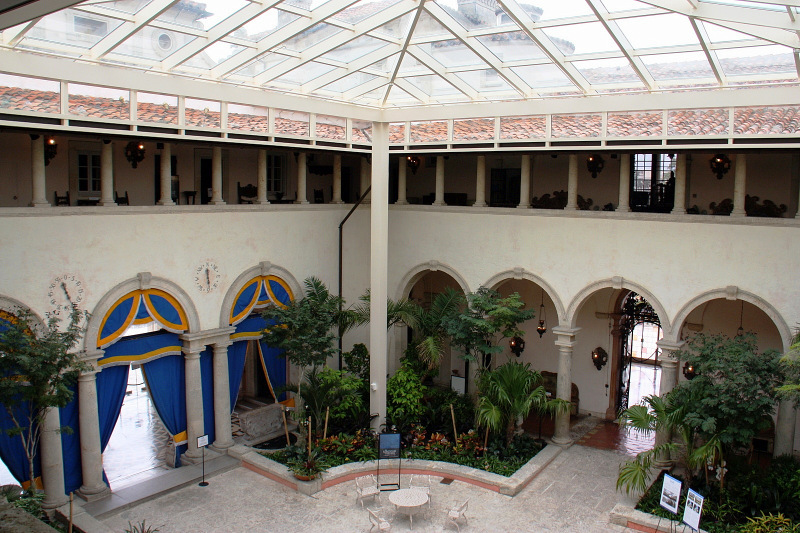 At one time, the courtyard was open to the weather, but today it is protected by a glass roof. 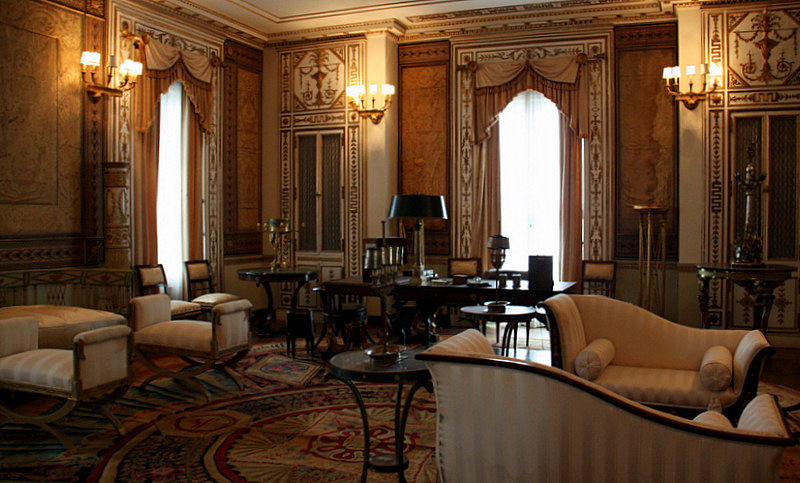 Air-conditioning was installed in 1986 to help preserve the many treasures inside the mansion. 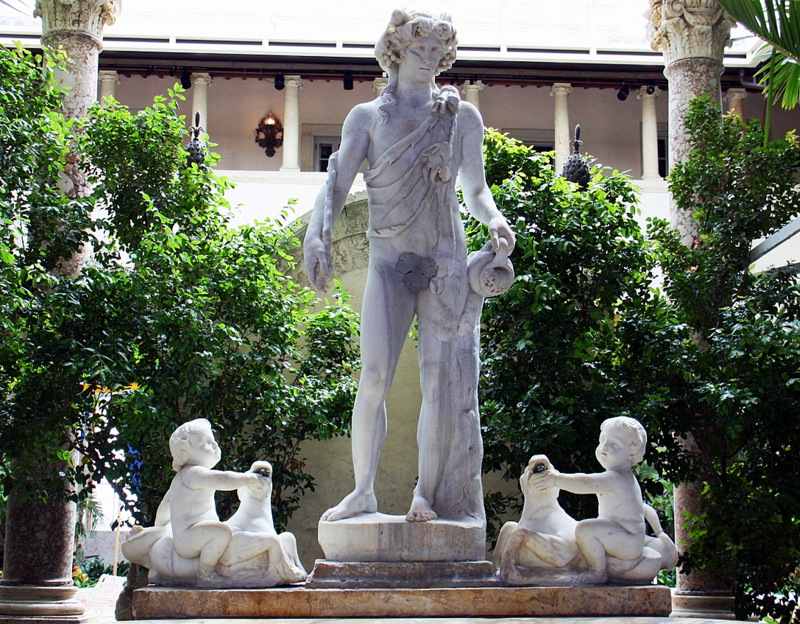 Inside the entrance to the villa, visitors are greeted by a 2nd century marble statue of Bacchus, the god of wine, standing above a Roman marble basin. 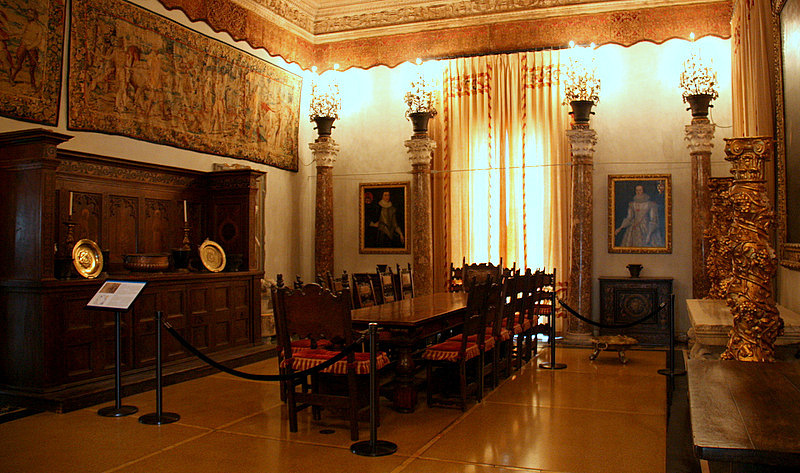 In old European villas, many of the sleeping rooms and the kitchen are located off a gallery on the second floor, and so it is at Vizcaya. Deering had his main dining room put on the cooler first floor and away from the kitchen, which was serviced by a dumb-waiter from its traditional second floor setting. The breakfast room is next to the kitchen and ably blends walls of ship murals with a dominating influence of colorful Chinese figures and furnishings. There is a sweeping view of the south gardens from windows that can slide back into the walls during pleasant days. 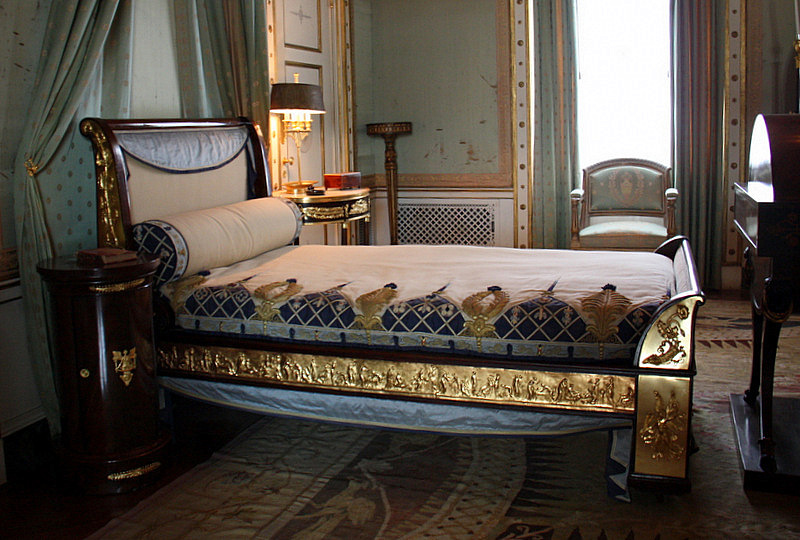 James Deering’s bedroom is like so many of the other rooms – distinctly different and visually interesting in its French Empire styling. 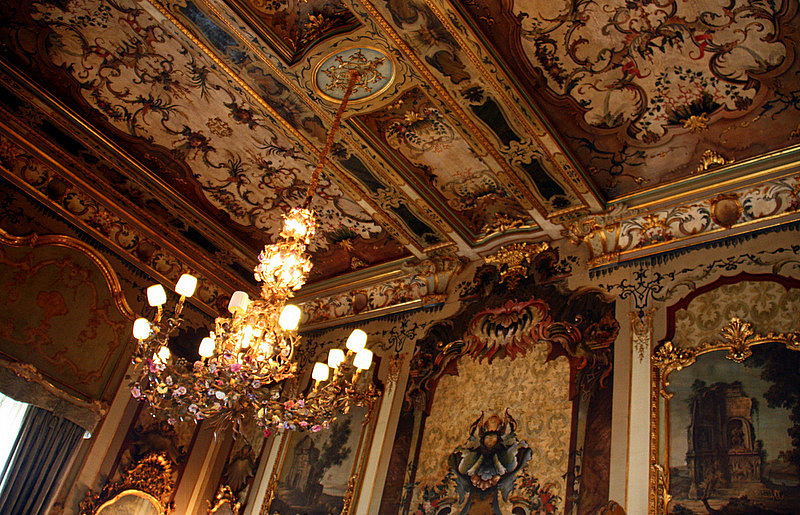 The highly ornate ceiling and wall décor of the Rococo Music Room came from a palace in Milano. 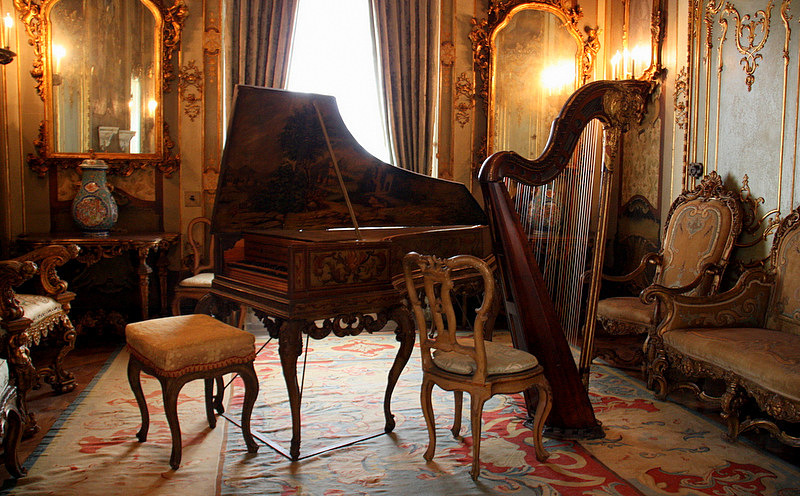 The entire inside of the Vizcaya villa is an exciting cornucopia of Renaissance tapestries, and Rococo and neoclassical furniture of every configuration and design. The stimulating living rooms are said to have been planned by Mr. Deering to cultivate conversations among his sophisticated guests. 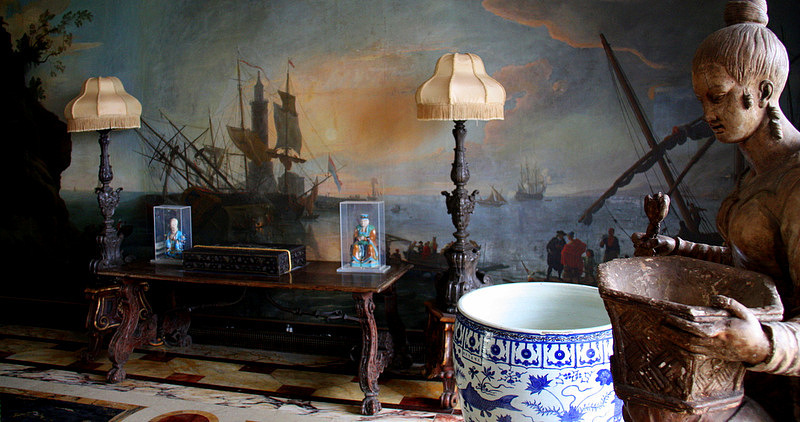 Vizcaya is one of the few grand homes turned museum that has the innovative furnishings of the original owner – the better to define the man James Deering who wanted a home that looked and felt like a 16th and 17th century Italian estate. James Deering resided in Vizcaya for only a few winter months out of the year, but the upkeep of the estate required an extensive year round staff. 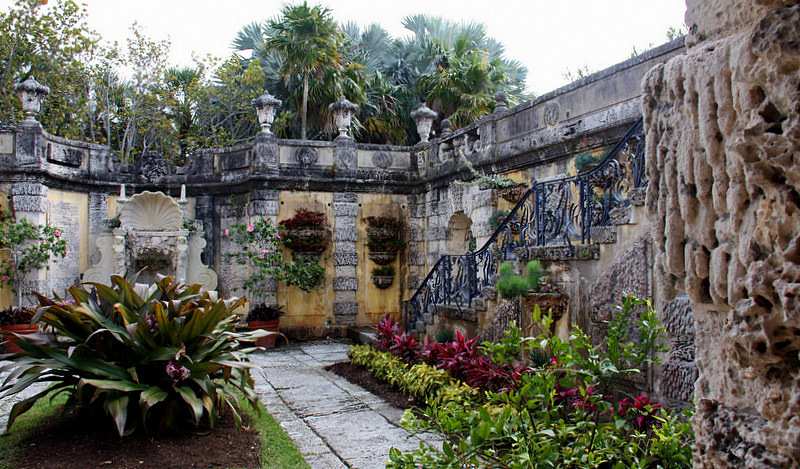 Up to 18 staff members maintained the main house at Vizcaya, and 26 gardeners cared for the formal gardens. 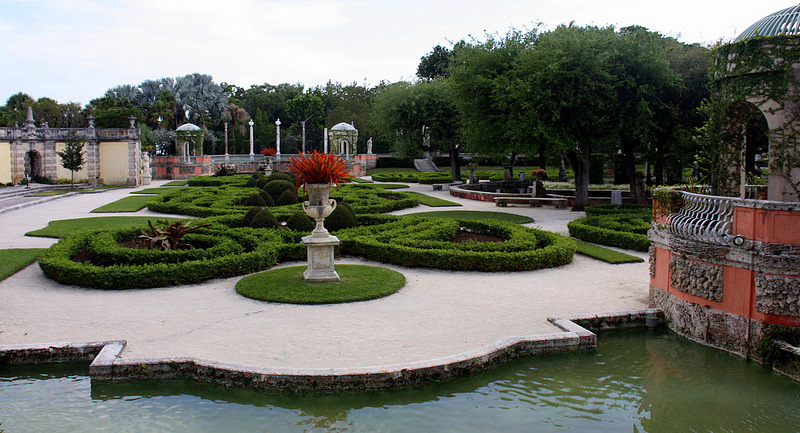 Originally, Vizcaya had 180 acres and included a large lake. Today, the entire estate covers about 50 acres, and only a few decaying gondola poles remain in a mangrove swamp where a beautiful lake with lush islands once flourished. 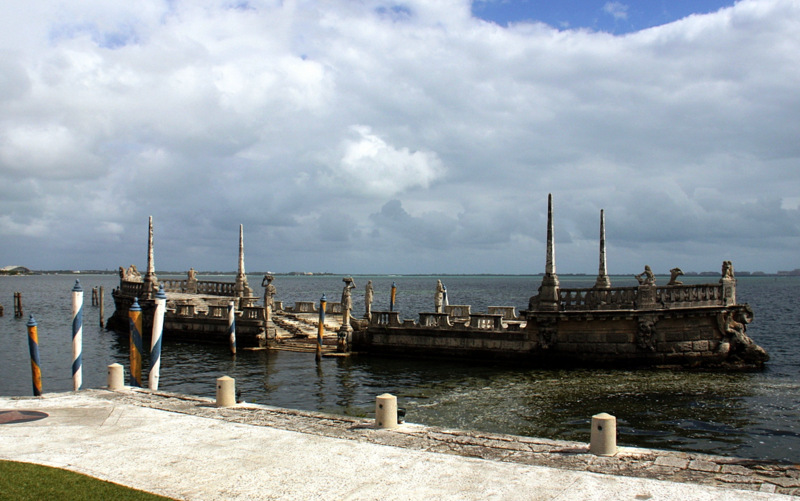 The signature architectural statement of Vizcaya is the amazing Stone Barge to the east of the house. The barge functions as a breakwater in the estate’s cove between the boat landing and the lattice topped Tea House. Once replete with dense tropical plants and trees – long since vanquished by decades of storms and hurricanes – the stone barge remains a lasting testament to James Deering’s love of the sea. Deering maintained two yachts at Vizcaya and he wanted to make certain that the water entry to his estate would not be forgotten by his guests. It would certainly be difficult to forget the elaborate stone barge. The gardens are an oasis between mangroves on the bay-shore to the east and a dense tropical native forest to the west. The grounds of Vizcaya were created in the style of famous Italian and French landscapes – a suitable setting to showcase Mr. Deering’s many sculpture treasures. 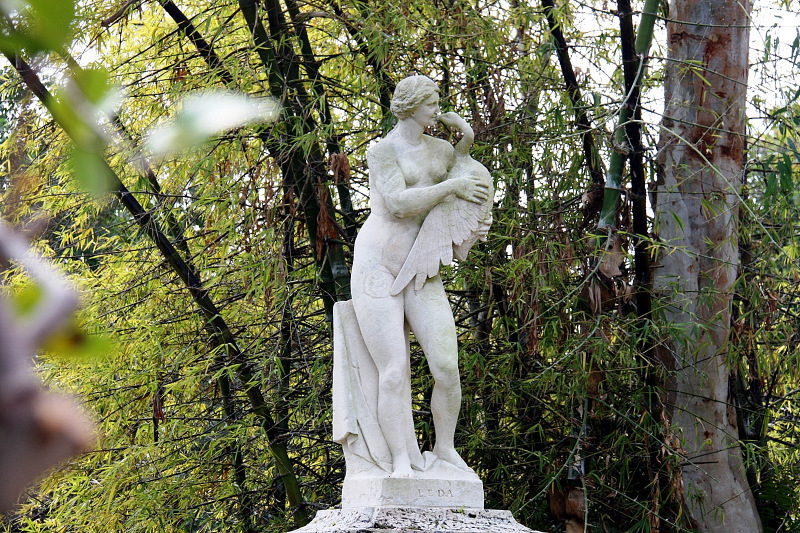 Everywhere you look there are wonderful forms and splendid flora, like the impressive 17th century Italian statue of Leda and the Swan. 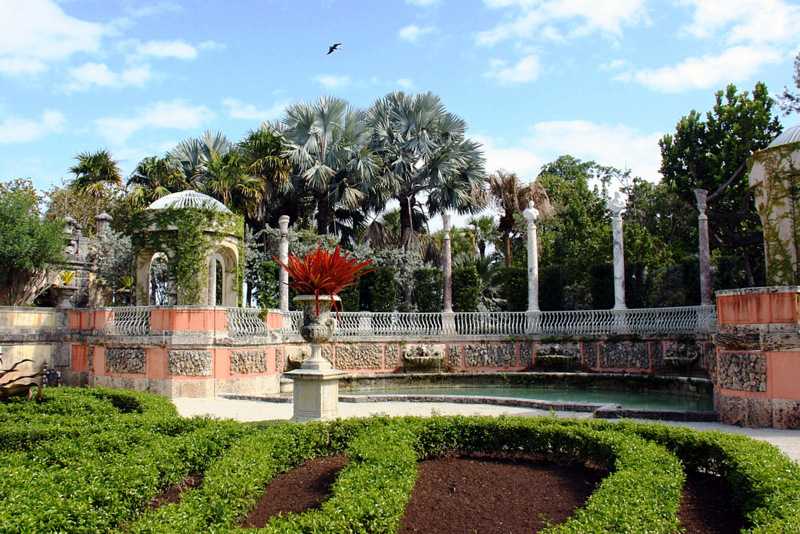 Although the aspects are European, many of the garden structures and settings are made from local or materials imported from Cuba, and all the plants were judiciously selected to prosper in the subtropical climate of southern Florida. If you go, seek out the Secret Garden on the immediate eastern side of the South Terrace. We found it to be exceptional in its medley of verdant semitropical plants. We also enjoyed the unusual grottos guarded by fantastic sculptures of sea deity intricately carved in course coral rock. 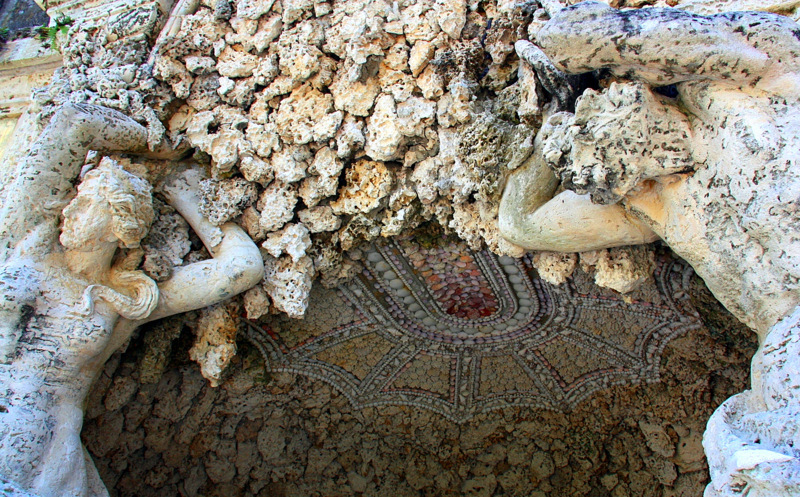 1,000 workers constructed the forty-room Vizcaya out of a literal jungle. It is all the more incredible that Miami had a population of only 10,000 when the Vizcaya project began. Jack Deering died in 1925, leaving a cultural legacy of enormous value. Over the ensuing years the family sold off much of the estate’s land in order to maintain the opulent villa and gardens. In 1945, the family conveyed a large parcel of land to the Catholic Diocese of St. Augustine and Mercy Hospital. 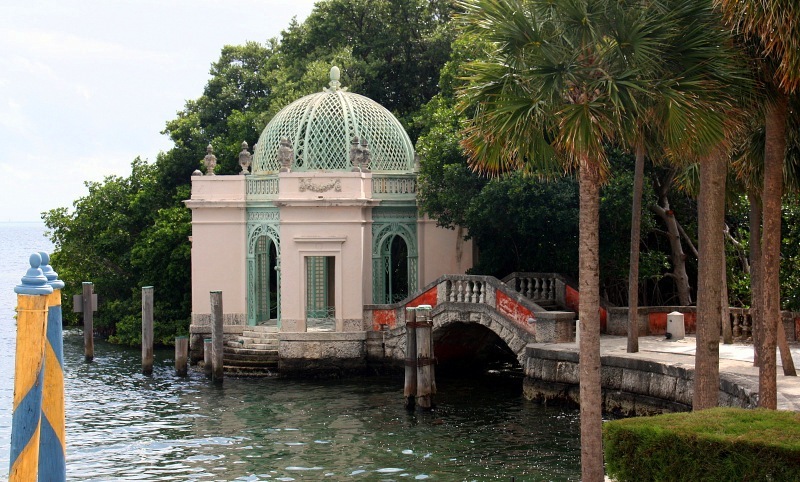 Finally, in the 1950s, the heirs munificently sold the main house and gardens to Dade County Florida for a minor $1.4 million, and the Vizcaya Museum and Gardens was born. 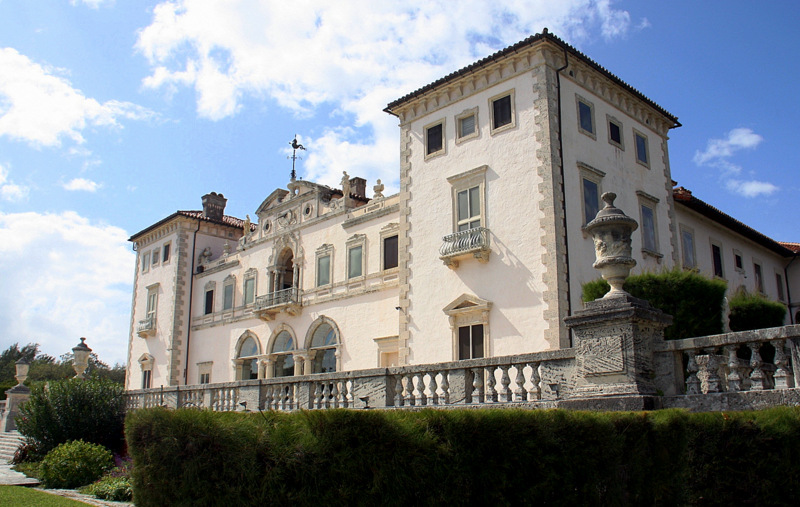 In 1987, President Ronald Reagan selected Vizcaya as the venue to greet Pope John Paul II. The two men met privately in the Renaissance Hall off the north arcade, and took a private walk through the garden. Later in the day, they addressed the world media from the Garden Mound, a large man made hillock with live oaks and splendid vistas of the estate. The Garden Mound is at the far end of the south garden, and where the Garden Room is located. In 1991, Her Royal Majesty Queen Elizabeth II and Prince Philip, the Duke of Edinburgh, toured Vizcaya and attended a lavish garden party in their honor. 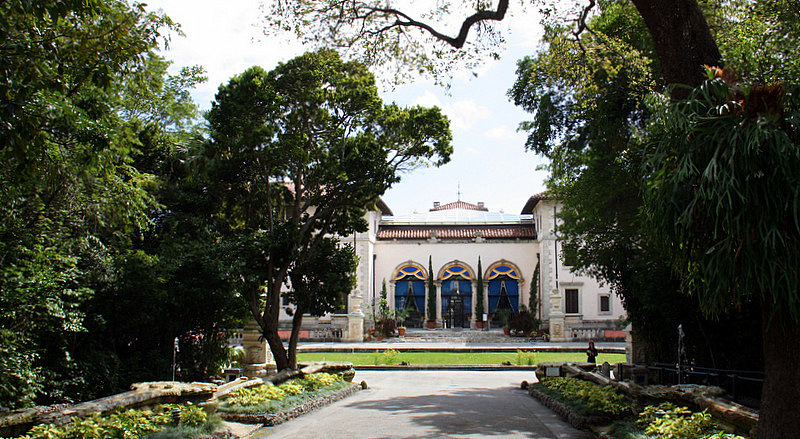 In 1994, President Bill Clinton chose Vizcaya for his First Summit of the Americas meeting. The meeting was attended by 34 national leaders from the Americas and the Caribbean. 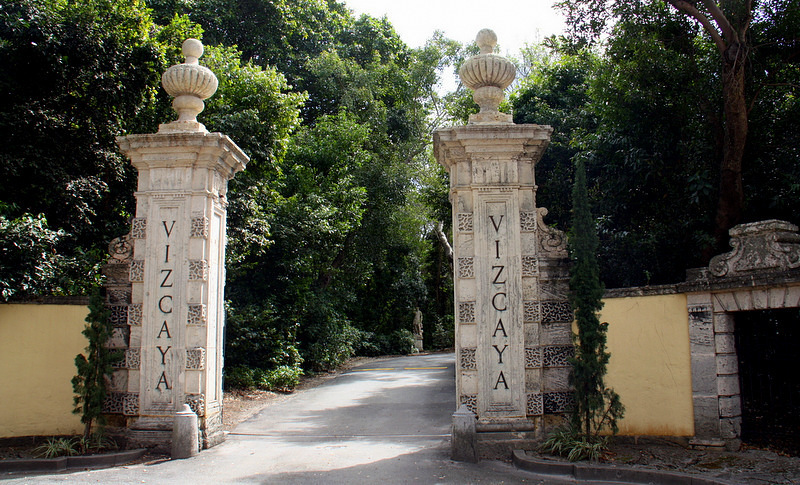 Vizcaya has also been the backdrop for many Hollywood films over the years. You might have noticed it in Airport, The Money Pit, Tony Rome, and most recently, Iron Man 3. In our article we have only scratched the surface of an amazing visual heritage. There is so much to discover there that is not immediately obvious. Look *here* for directions and more information about this extraordinary part of American history and innovation in architecture and landscaping. Also, be sure to see the informative video at the top of the article. Vizcaya is a step across the threshold of time to a golden age when personal luxury in America was a given and attention to detail an expectation. 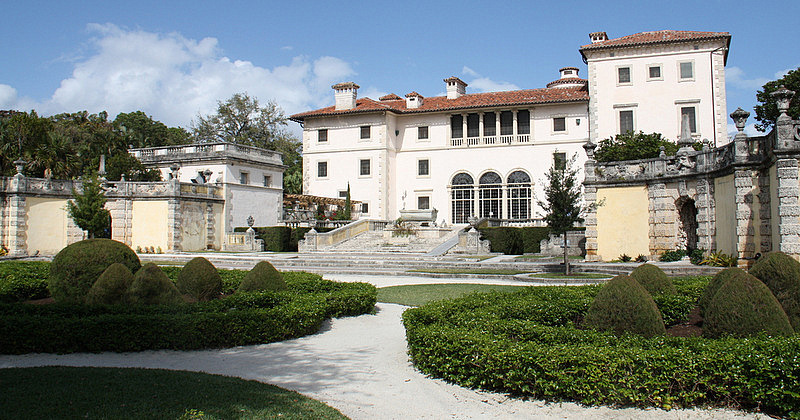 We heartily recommend a tour of Vizcaya while in Miami. Vizcaya is like the Filoli House and Gardens in Woodside, California in that neither is on the tip of tourists’ tongues, but both are amazing pieces of early 20th century American history that are very worth a visit when in Miami or San Francisco. Both estates are designated historic sites of the National Trust for Historic Preservation. The gardens are equally beautiful, Vizcaya in French and Italian styles, Filoli in English Renaissance. 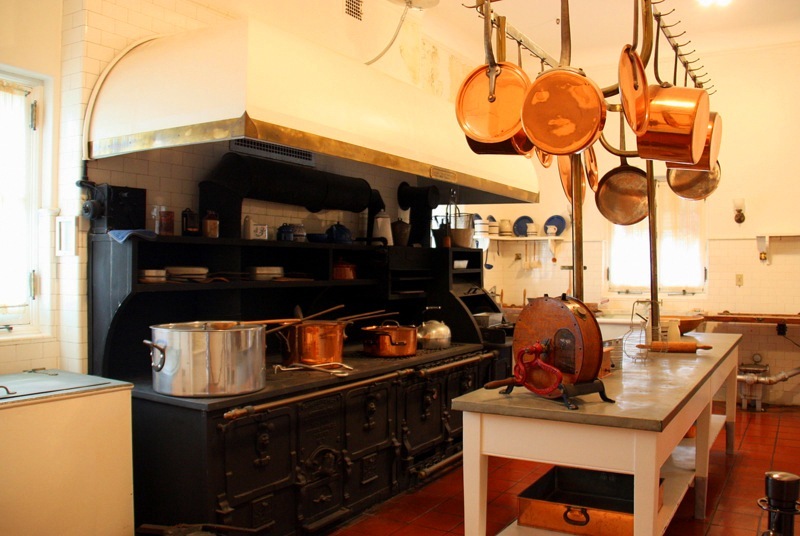 Wayne and Judy have written several pieces about Filoli. Read one *here*.